There are many factors that might be affecting the sound quality on our android phones. Factors like, maybe you are using an outdated android device, or your device has a very poor speaker placement, or simply maybe because you're not using a good pair of Earphones. So in today's article, we will be looking at how we can avoid or enhance these factors, in 4 different ways. 1. Check Your Audio Settings. First of all, we'll have to note that not all devices comes with a dedicated Audio Tuner. But for those that has it, here's how you can do it. For Samsung devices, you should head over to the device settings, tap on "Sounds and Vibration", from there, you should see a list of options on how to tweak your audio. You can as well use the Audio Tuner and Equalizer that offers "Sound Alive", provided in Samsung Music App. Xiaomi also offers a Headphone Sound enhancer, included in MIUI, it lets you choose between in-ear earphones and normal earphones. Just turn it on, and select the type you are using. Sony also gives you an edge over audio with the ClearAudio and an Equalizer, included in the Xperia UI. It is available in the device settings. HTC also lets users enjoy a top notch audio experience with the HTC BoomSound that comes with SenseUI. 2. Download A Good Music App. There are a dozen of apps on Play Store that does nothing but take your audio experience, from bad to worse. But there are still a few righteous ones, which can help to greatly improve your earphones audio output. So these are the ones that i use in my device. The Xplayer deals more on virtual 3D sound effect. It gives you option to position your speakers in any direction in a virtual environment to achieve that one in a lifetime surround sound effect that you can never get anywhere else. But as usual, they say that something this good, doesn't just come around that easy, so in that case, i will like to tell you that it also comes as a paid app in Google Play Store, but also offers a 14 days trial version for first timers. So Click Here Now to download it. 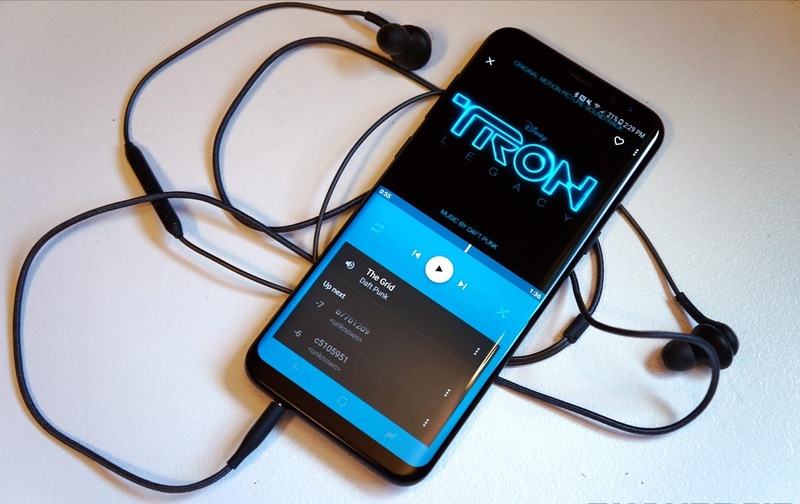 Then to see all you need to know about those three music player apps up there, in a different post entirely, where we broke down everything about them in details, then you should follow the link below. 3. Download A Standalone Sound Equalizer. Like i said earlier, that not all smart phones comes with a dedicated sound equalizer, but if yours came with one, then you are one of the lucky fellows out there, and if yours doesn't, then i suggest you should consider any one of these two i'll be listing out below. Now these are two different and separate audio sound equalizers, so it is not recommended you download or use both at once. Just select the one that works for you, and leave the rest to some other people to download. Though they can get things really messed up if not used properly, but if used in a proper way, you can get your earphones to literally sound like a 3D cinema. For the rooted Android users, there are a dozen of apps and roms to raise your device's volume above the Max Volume limit. But for those who are scared of rooting, this is a simple "Low Tech" solution to help you get the most of your Android device audio. Position your device speaker in a corner while playing musics, or place your device in a hollow container, that will help echo the volume louder and to farther distances. Other Things To Take Note Of. Know the speaker placement of your device, most OEMS now position their speakers at the bottom of their devices, which might get in the way while gaming. Devices which speakers are placed at the front offers more great audio output. So guys, that is it for today on how to make our audio come to live on our android devices. We will keep updating this article, as soon as we are able to uncover newer methods. So make sure to subscribe to our blog to get notified. But in the meantime, tell us what method you've been using, that worked for you in the comments section below, and as well tell us what method above, you think is the best. Share this wonderful article on your various social media channels using the share buttons below, and make sure you subscribe to our newsletter if you've not done that already. And catch you on the next one.